Ink Web Solutions services is the best Web Designing & Development, Content Management, Domain & Hosting registration, software & BPO solutions, language translation, and SMS services company in Chandigarh. Ink Web Solutions controls the content. 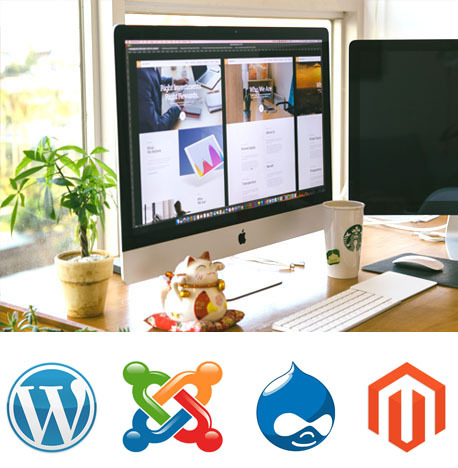 We at Ink Web Solutions and CMS Development Company experience have shown us that content management is really about understanding your processes and needs - where your content comes from current and legacy workflow. Content management has evolved into a strategic business tool for improving operational ability and organizational growth. CMS Development Company Web-Based Content Management Systems are developed by using the latest technologies; this ensures Best CMS Company Web Content Management Solution is search engine friendly and outputs compliant and accessible content. With the emergence of e-commerce, content, and website, globalization has become more important than ever. Large to mid-size businesses are becoming more dependent on global content management to secure online sales growth. Our writers can produce quality business case studies, interviews, and analysis. We specialize in categories like cross-cultural issues, globalization, outsourcing, communication, and e-marketing. From content development to layout and distribution, we will help to project you as a wealth of information by adding in all the info in an e-book. When your knowledge is published in this manner, you'll command the respect of others and be considered to be an expert in your field. This is something we have learnt from years of experience. You may not find too many companies able to provide this service. Our secondary research team can save your precious time by searching the Internet and compiling the results.